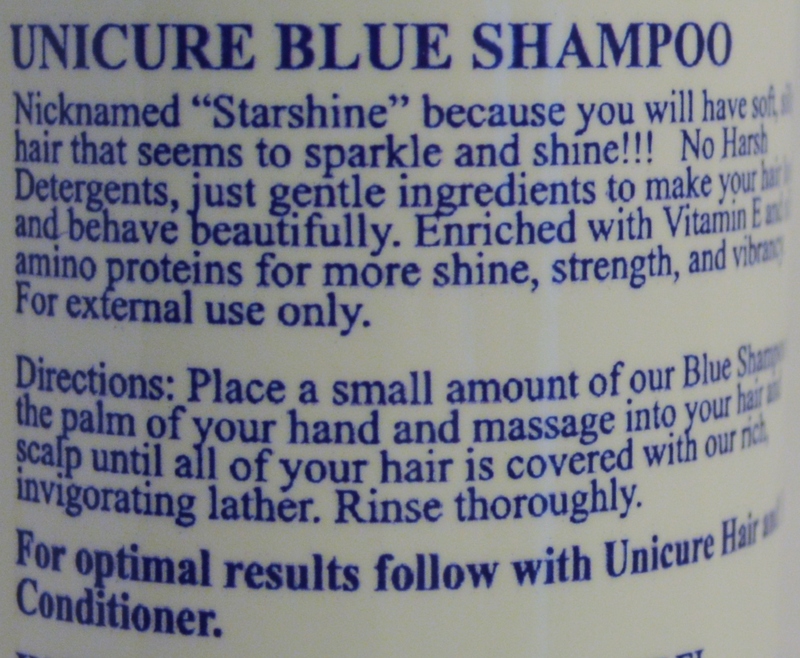 Unicure Blue Shampoo Nicknamed "Starshine" because you will have soft, silky hair that seems to shine from within. No harsh detergents, just gentle ingredients to make your hair look and behave beautifully. Enriched with Vitamins E and C and silk amino proteins for more shine, strength, and vibrancy. "Blue Shampoo" removes dirt, debris, spray deposits and excess oil from your hair. The "Blue Shampoo" gives you a gentle cleaning without stripping essential oils.